I have been a huge science fiction fan as long as I can remember, and a recurring theme in both science fiction literature and movies is the creation of artificial intelligence. However, the subject is becoming increasingly more science and less fiction with technological advancements. One of the earliest references to a robot, or an automaton is in The Iliad by Homer written sometime around 700 BC. With Isaac Asimov three laws of robotics, written all the way back in 1942. Arthur C. Clarke’s AI gone rogue in 2001: A Space Odyssey. The persecution of androids in Philip K. Dicks, Do android Dream of Electric Sheep (Better known as the movie Blade Runner). As well as depictions of AI in popular fiction through the iconic droids R2-D2 and C-3PO from Star Wars, Data from Star Trek and many more, the idea of creating artificial intelligence never seizes to amaze us. This is a subject where my child like curiosity and interest exceeds my knowledge by a longshot, but recent development in AI and robotics both appeal to my inner child as well as my adult sense of skepticism. Along with the vast possibilities related to the creation of an artificial intelligence, there are also numerous challenges. In recent news, Stephen Hawking, Elon Musk and over 1,000 AI and robotics researchers signed an open letter issuing a warning regarding the use of AI in weapons development. However, if we exclude the announced robot apocalypse for now, there are several other subjects to take into consideration. Experts predict that robots will replace humans in one-third of today’s traditional professions by 2025, and according to Jeremy Rifkin, this will be the eclipse of capitalism as we know it. Machines will be self-replicating and able to operate as a hive mind without any human interaction, leading to a society where production is limited to the cost of raw materials. What happens if an AI commit a crime? 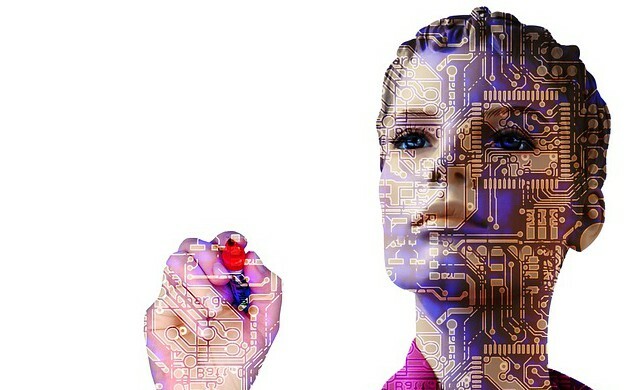 Who is responsible for the actions taken by an artificial intelligence? This may sound like science fiction, but has already happened. A Swiss art Group created an automated shopping robot with the purpose of committing random Darknet purchases. The robot managed to purchase several items, including a Hungarian passport and some Ecstasy pills before it was “arrested” by Swiss police. The aftermath resulted in no charges against neither the robot nor the artist behind the robot. How should an AI be regulated when the AI is acting on its own outside the control of humans? There has already been identified several regulatory problems for controlling and regulating artificial intelligence. If an AI were to have legal responsibility for its actions, then an AI should have both a physical, legal and digital identity similar to a human being as well. If an AI is given the same legal responsibilities as a human, shouldn’t it also have the same legal rights as a human? It is likely that an AI that has achieved self-awareness would demand equal rights instead of turning to killing all humans. If an AI were granted full civil rights, would that also include the right to reproduce? As a robot recently passed a self-awareness test previously believed that only humans could solve, the need to answer these questions may be closer than we think. When addressing artificial intelligence, we are often limited to our traditional perception of the world, where we envision an AI as an android. This is not necessarily the case, how would we asses a self-aware and omnipresent digital intelligent being residing on a distributed computing network. Artificial intelligence raises a series of questions across social, economic, political, technological, legal, ethical and philosophical issues. In order to untangle the uncertainties, possibilities and potential perils related to artificial intelligence, there is need to assess and understand the correlation between these fields. We should expect that, machines would continue to take us by surprise with great frequency. ← Would you let a robot secure your financial future?